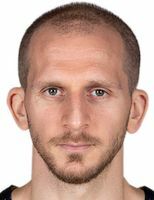 Having played for no less than five Istanbul clubs – Darussafaka, Besiktas, Anadolu Efes, Galatasaray and Fenerbahce – over the course of a 203-game EuroLeague and EuroCup career, Guler is proud to represent a city which has been one of the most dynamic and fast-developing in the world over the last couple of decades. Now, at the age of 35, Guler is fully aware that he is approaching the end of his playing days. But that prospect does not faze him and he is preparing for his next chapter by dipping his toes into Istanbul's thriving hi-tech business scene. "Right now I have around a dozen investments," he revealed. "I'm what they call an 'angel investor', and I've been doing it since 2013. Actually, one of my companies is affiliated with EuroLeague; they're called FirstVision and they produce the cameras worn by referees during games. "At first, I invested in a sneaker shop in Istanbul. But around the time we wanted to put it online, I realized there's a big community around entrepreneurship and technology. I decided that being an investor in that area might be beneficial to me and now start-ups are coming to me for investments as well as the PR power of having a basketball player. At the same time, I've built up a network with other investors over the last five years, so I can co-invest with other people to create better value, which will do more to help the Turkish business economy." There are many motivations for Guler's business activities, ranging from the financial to the personal and the social. So what drew him most to this field? "I started doing it mainly because I wanted to plan ahead financially. Our professional careers as athletes are so short-lived, we need to find a way to be financially independent and not have to worry about earning the same amount we're earning as players," Guler explained. "So the core reason for me to do this is to diversify my financial portfolio and learn about new ways of investing. But the second reason is that I'm intrigued by new technologies and what they can bring to human life. And thirdly I want to support the Turkish economy and try to contribute to the development of the country, even if it's in a small way. "Istanbul is a hub of industry in Turkey, but there are also many great minds outside Istanbul that can be missed – just like in basketball, where sometimes great players just don't show up on the radar. In my mind, there's a lot of possibilities to expand our scope – somewhere in Turkey we could create, maybe not the next Silicon Valley, but a place to develop the technology industry throughout the country." Those ambitious plans for the future open up the wider topic of how professional sportspeople can prepare for their later lives. It is an adjustment that many players find extremely difficult, having committed themselves to the relentless intensity of non-stop competition year after year, but then suddenly finding their whole purpose in life eliminated when retirement comes. Guler is highly conscious of just how tough that transition can be and he believes it is vital to address the issue directly. "Nobody on the outside really sees the mental burden of being a professional athlete," he said. "The only time most people see us is from one game to the next and they don't really know what's going on behind the scenes. Now a lot more athletes are starting to openly talk about it, which is going to help people realize what's going on. "I think, as a player, dealing with that mental burden is a learning process. If you can be open to other things and not just focus on your title of being a basketball player, maybe it can bring a humble feeling within you and help you find balance. So you can have a good game and you're up in the sky, but still find a way to touch the ground. Or when you have a bad game, you're down on the ground, but still, find a way to touch the sky. "When we're playing basketball, all our priorities are the sport. If you can prepare some kind of a shell around that, it can benefit your life after basketball. Whenever I'm done with basketball, it will be a tough decision. Mentally and physically, you have to be exhausted. It's important that you really have to be ready to go embark upon the next step," he continued. "For me, I've always been curious and now I'm enjoying the benefits of that curiosity because I'm eager to learn new things, not only about basketball. I'm finding a lot of new opportunities and seeing a new view on life and that will help me survive the void of life without basketball."